Beautifully lined makeup bag features silver VICTORIA'S SECRET lettering inside. 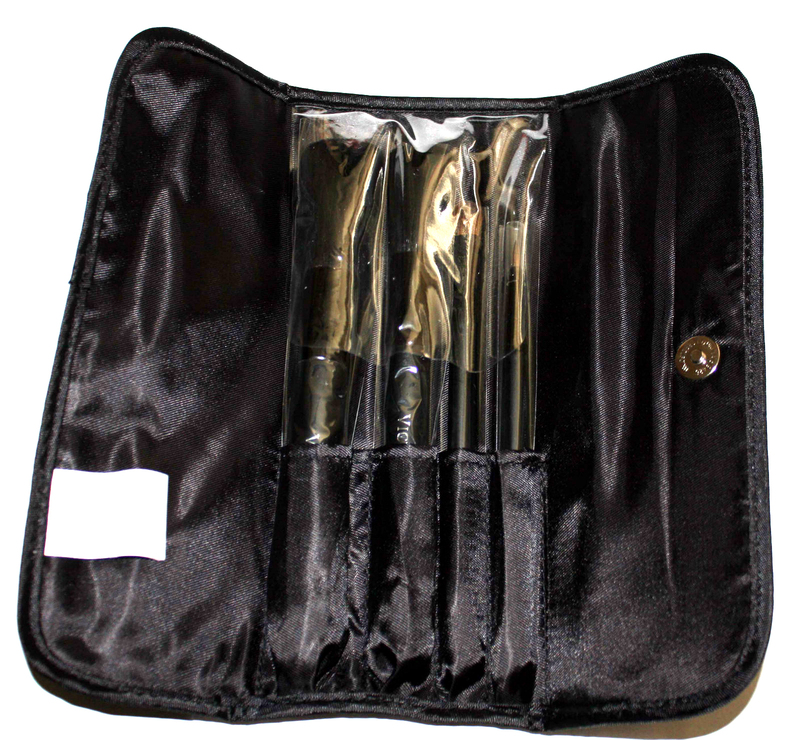 Comes with a complete makeup brush set in a folding, snap closure case. Brushes are made of soft, high-quality goat hair.